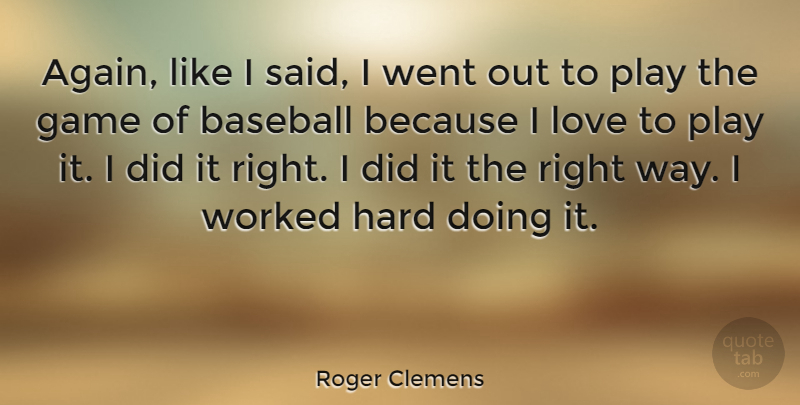 Again, like I said, I went out to play the game of baseball because I love to play it. I did it right. I did it the right way. I worked hard doing it.